As a caregiver, you often execute your responsibilities from your own perspective. The logistics and the services you provide are implemented, in part, in relation to your other everyday tasks and duties. It is important early in your relationship to look at your responsibilities from the perspective of the care receiver. Often they have spent a great deal of their adult life making decisions and taking care of their own needs. Now they have come to a point in their life where they must accept the reality that they can’t do everything for themselves and they need assistance. This transition from independence to dependence has both psychological and emotional implications and is a pivotal point in an individual’s life. You need to be sensitive to this change and frame your assistance to help the individual adapt and accept their new role. Part of this new role for the care receiver is adjusting to a partnership and the give and take compromises that it requires. After being independent for so long and having the ability to make decisions unilaterally it is often difficult to surrender this control. 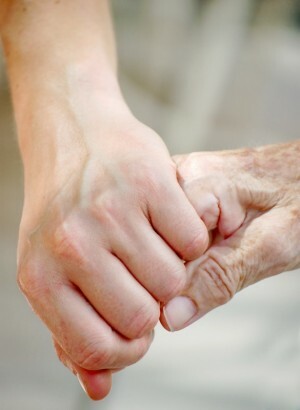 It is helpful during this period for the caregiver and care receiver to plan and make decisions together. In that way both parties feel they are involved in the solutions and plans that are made. Also each get to see the other’s point of view.